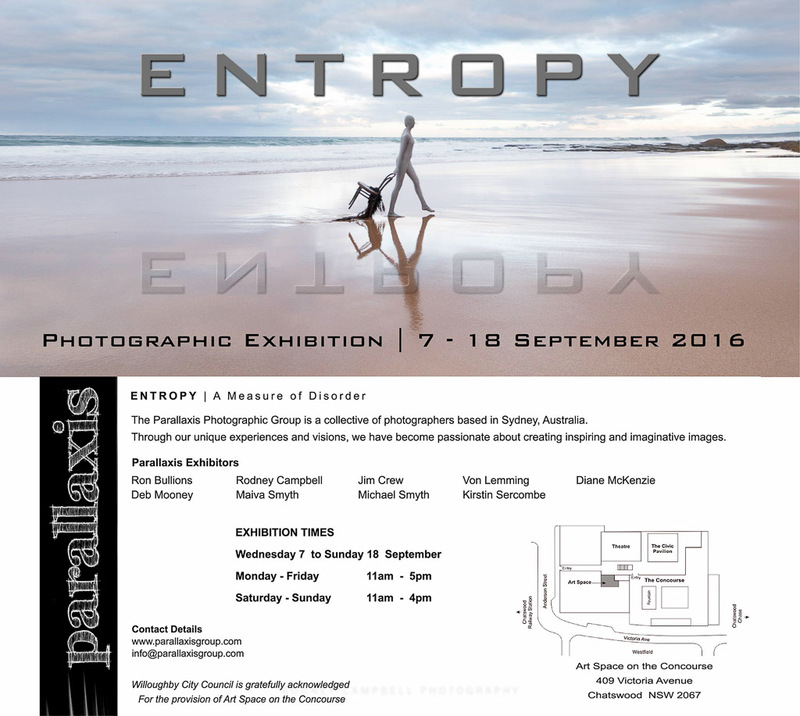 I’m a member of a small group of passionate Sydney based photographers (Parallaxis). We have been working towards an exhibition of our work in September this year. The theme is “Entropy” and we’ve each been interpreting and mastering our bodies of work. Entropy can be simply defined as “A measure of disorder in a system”. Each of us nine exhibitors have presented a panel of photographs that reflect our individual responses and interpretation of the concepts of entropy. Less than two more weeks to go before the big day – it’s getting really exciting now :). This is our official flyer for the exhibition and our formal invitation for you to attend :). You may also like to check out all the other fantastic events going on in our city during September. We are exhibiting as part of Willoughby City Council’s Emerge Festival. The program lists the more than 30 events all through September celebrating emerging talent, arts, culture and community.